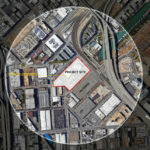 While the total number of homes currently listed for sale in San Francisco (610) is now running 1 percent higher than at the same time last year (605), and roughly 45 percent higher than in mid-April 2014 (420), inventory levels have atypically slipped 5 percent over the past month with sales activity outpacing new listings. At the same time, the percentage of listings in San Francisco which have undergone at least one price reduction has ticked down 3 percentage points over the past month to 11 percent, which is 1 percentage point lower than at the same time last year. 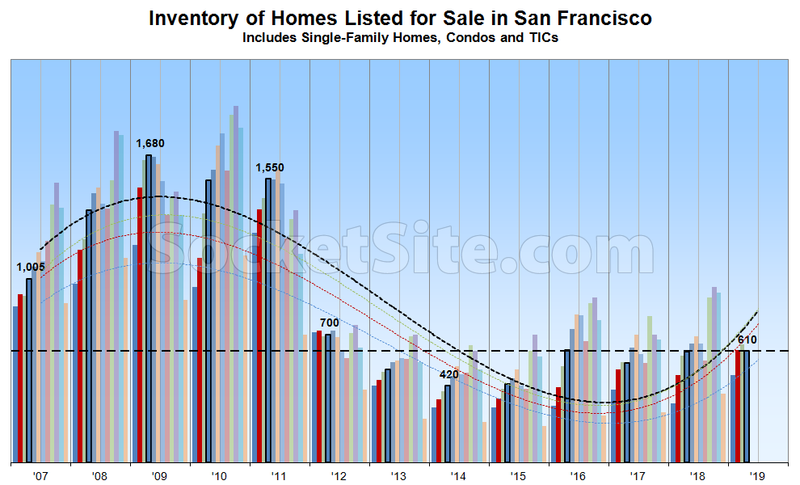 And all that being said, we’re still expecting inventory levels in San Francisco to climb through June, followed by a typical summertime lull and peak in the fall. Note to new readers: the smoothed curves are third degree polynomials which is why they are unable to fit the data. it makes absolutely no sense to attempt to fit a geometric line on natural data. unless the editor knows some fundamental truth that all real estate markets follow 3rd degree polynomial patterns? What do the different bar colors represent? Friends don’t let friends publish charts without labels on their series. Each color is one month of the year, so bars of the same color should be independent of seasonality. Looking at this chart just makes me think that there was some structural adjustment in the way people list homes in 2011. Maybe off market listings grew, or it became standard to de-list after X days, or some other behavioral shift. It just doesn’t seem like we would ever go back to 2007 levels of inventory and the trend above doesn’t seem cyclical but appears structural.